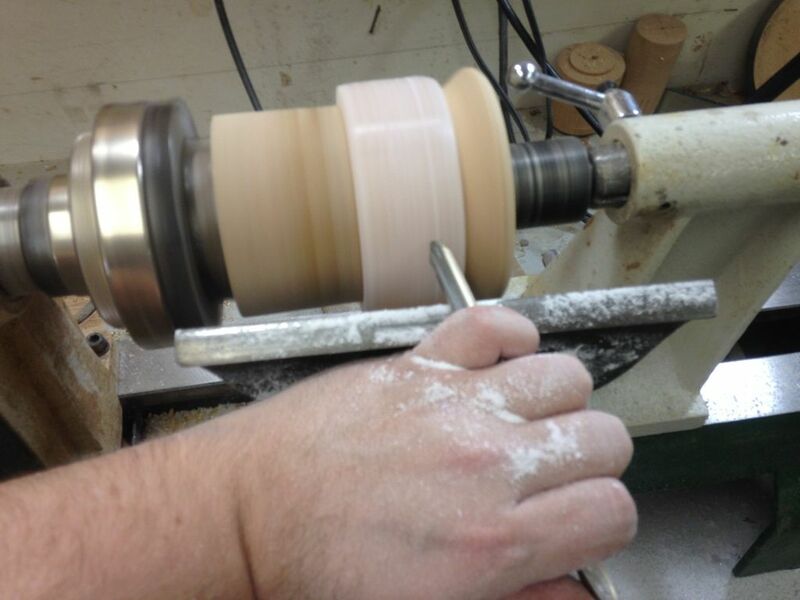 I’ve turned a fair amount of bracelets on the lathe. 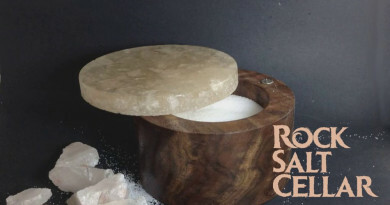 But I’ve never turned a block of salt before! It is beautiful material! 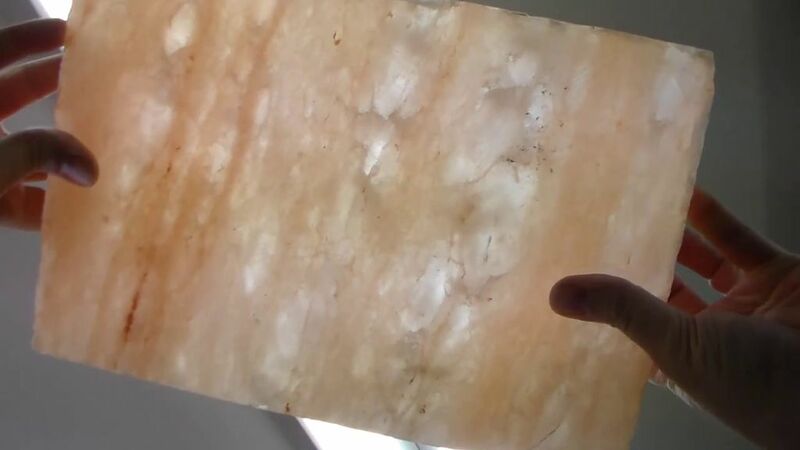 I bought a block of Himalayan salt from the local cooking store. 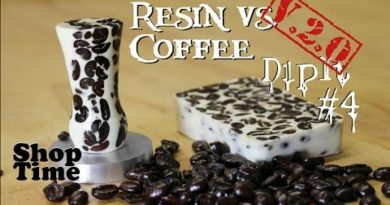 It was 2″ thick and about 10″ x 8″ More than enough for some experimentation! When I made the first cut on the band saw is when I thought it might be possible. 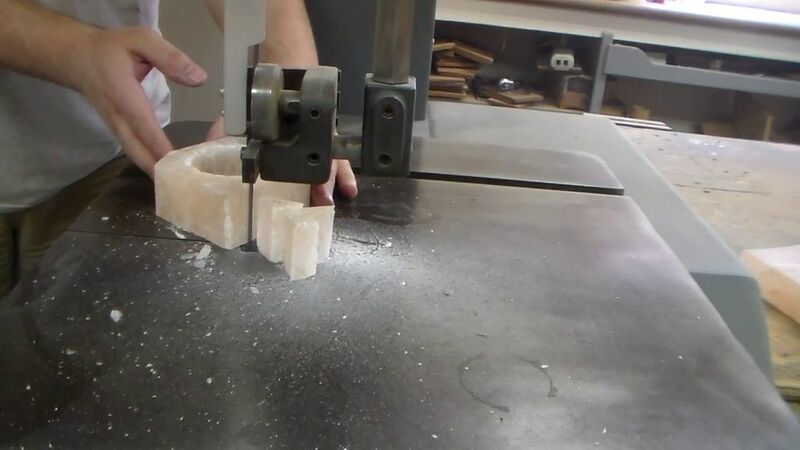 The salt cut easily and held it’s shape. The first few piece I cut a bit small, but I ended up with a 4″ square. I use a 2 5/8″ forstner bit for making bracelets. 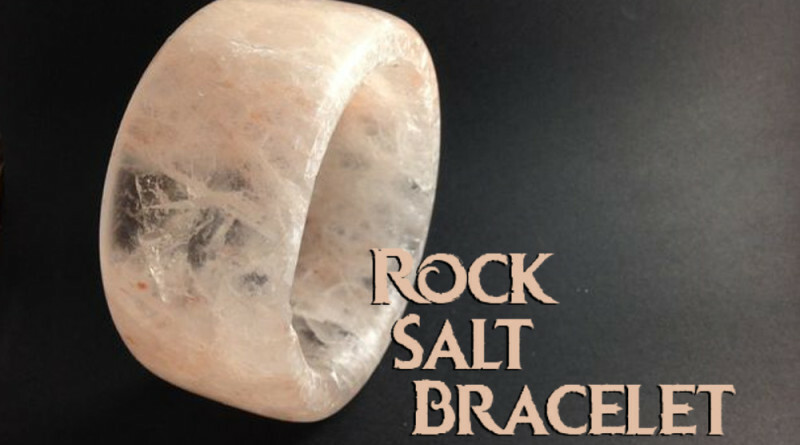 That inside diameter works for many women’s wrist, but it no means universal. It took about 10 minutes to drill through the block, but it left a pretty nice hold. 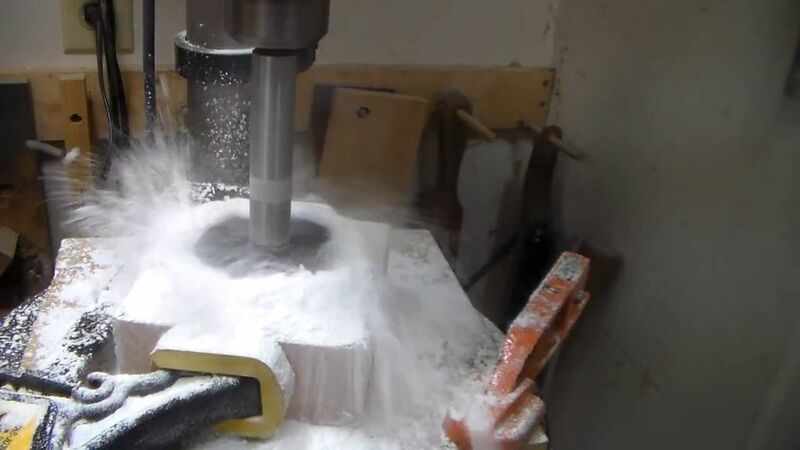 Of course, after drilling out the hole, the block was extremely hot. Almost too hot to hold. Another surprise! I let it sit for about 15 minutes before taking over to the band saw and cutting off the corners. Cutting off the corners is normally to make the turning process go a little faster, but with a brittle material I think it”s even more important to assure survival! 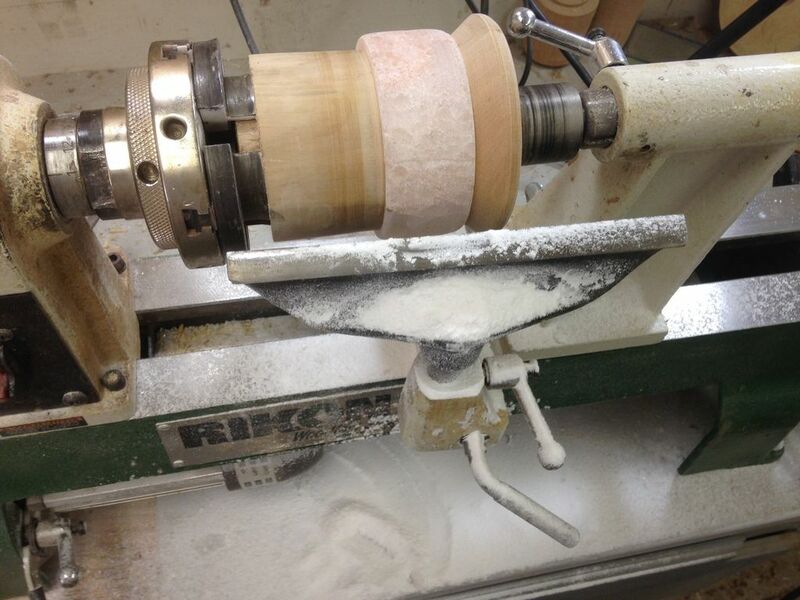 I then mounted it on the lathe. If you’ve seen my other bracelet turning videos, you’ll recognize my jamb chuck. 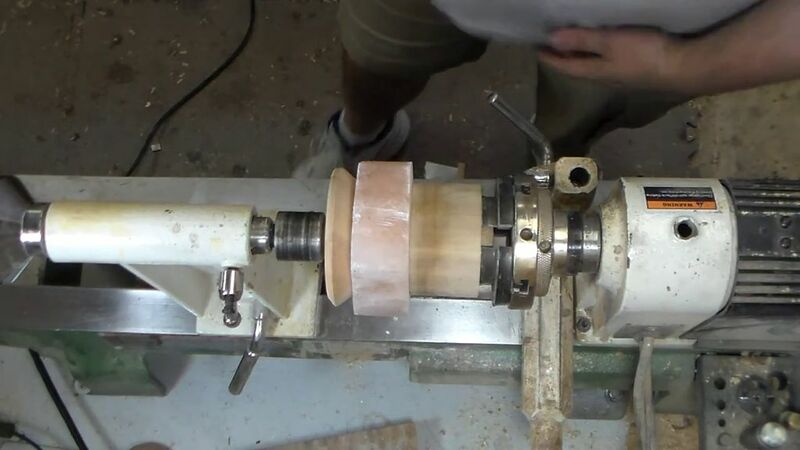 It is simply a piece of wood with a 2 5/8″ tenon to match the inside hole bored at the drill press. 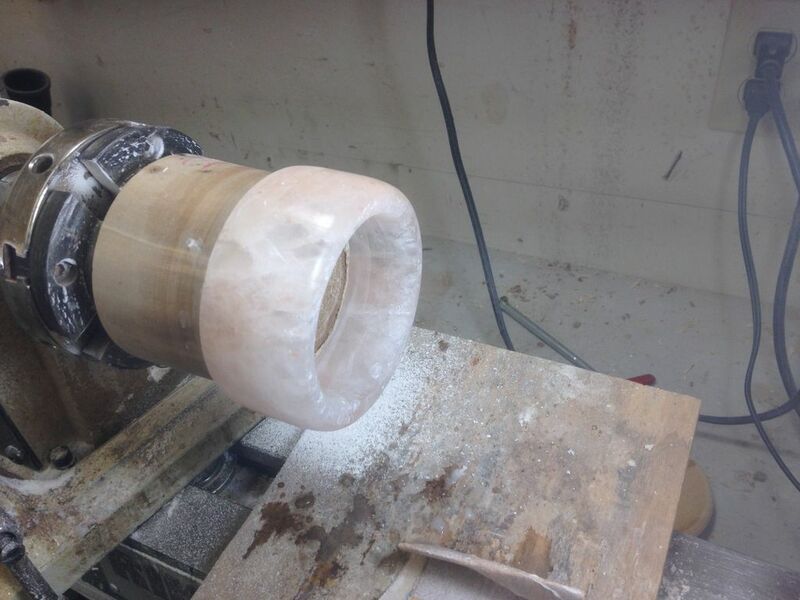 Using the jamb chuck is an easy way to hold the work piece for turning. I’ve made dozens of bangles with it, and it simplifies the process greatly. BTW hot salt is hard on the hands.! I cleaned every inch of the shop after this project. 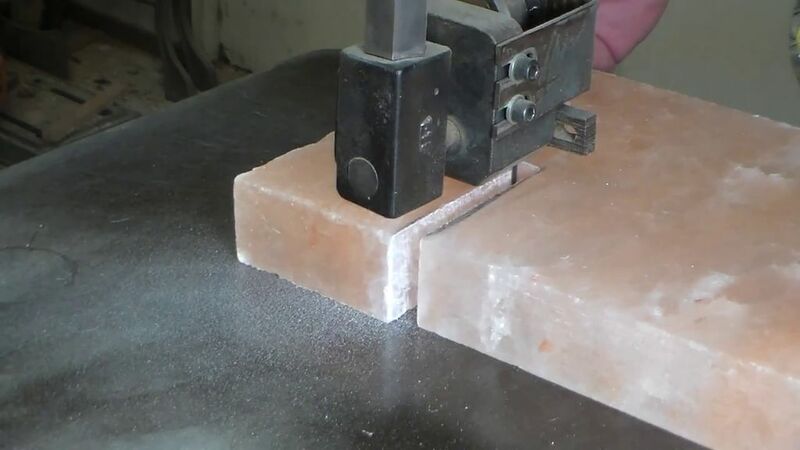 Salt is highly corrosive to tool steel and cast iron. DON’T JUST LEAVE IT! It took about two hours, but I think I got it all. Time will tell…. The sanding was almost all done with 100 grit sandpaper that was dipped in water. 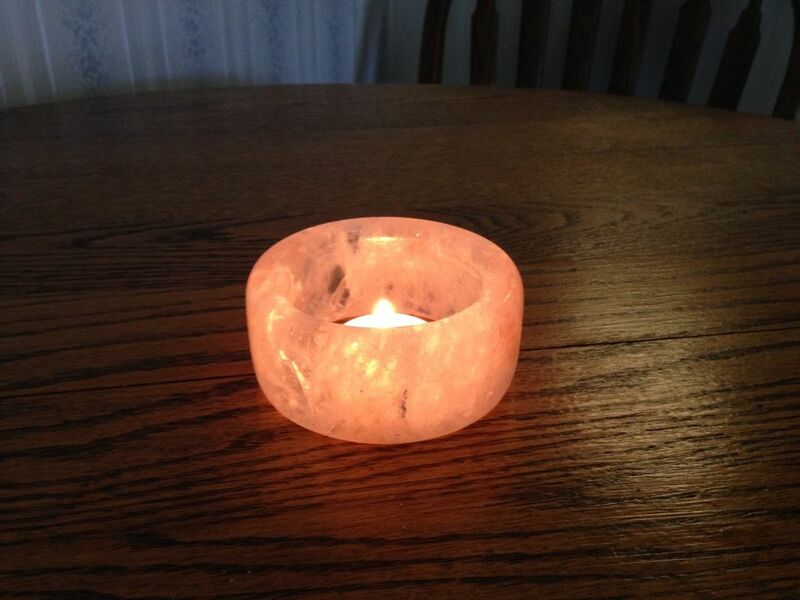 The wet sanding really worked well for this, and it shined up in only a couple minutes. I finished up with 400 grit but I’m not really sure it was necessary. On to the finish. In this case I skipped the finish. This is just too cool looking and I wanted to leave it intact. Why? I’m not sure, it just felt like the right thing to do. A couple coats of spray lacquer would be enough to add some protection were you so inclined. 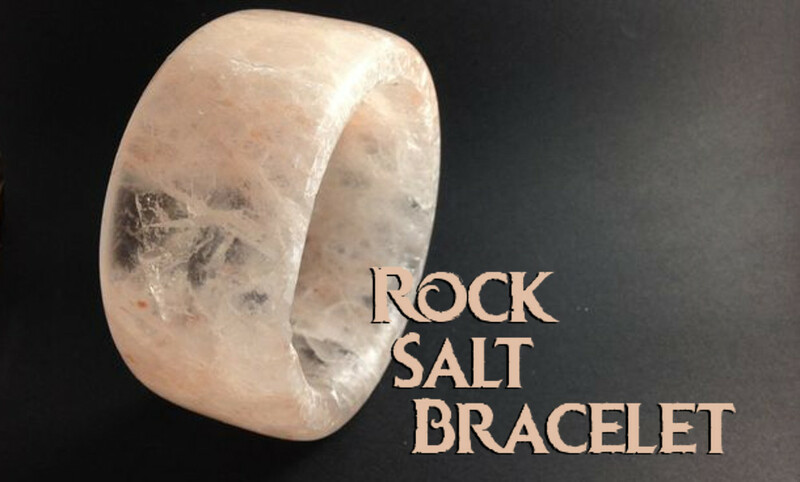 So, why do you need a salt bracelet?